We’ve got a new trailer for Assassin’s Creed IV: Black Flag that was released at Gamescom, showing more gameplay footage of the upcoming game. The game got some decent stage time at Sony’s Press Conference with live gameplay and PS Vita Remote Play demo of the game in action. 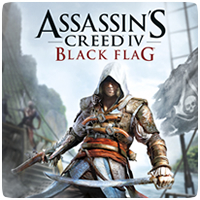 Darby McDevitt, Assassin’s Creed IV: Black Flag’s lead writer, has also revealed that the single-player story mode will be around 20 hours long. The player can view the present day sections of the game detailing the exploits of an Abstergo employee, but luckily these are optional. “It’s about, I’d say, 45 minutes total content through the whole story,” said McDevitt. “The main path in the game takes about 20 hours on average.